Anthea was appointed by the President of Republic of Singapore as one of the nine Nominated Members of Parliament on 26 September 2018 and will serve for two and half years in this public service role. Shortly after, her book 50 Shades of Love was published in December 2018. A former banker, Anthea was most recently a regional Managing Director with a UK-listed company where she also double-hatted as the Asian Lead of the Global Corporate Responsibility Board. 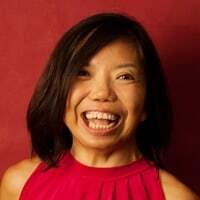 In the last 9 years, Anthea founded several ground up initiatives/impact businesses– most notable is Hush TeaBar, Singapore’s 1st silent teabar (a social movement) that empowers and employs only the Deaf and persons-in-recovery from mental health conditions to bring self care and social inclusion to every workplace and community. In May 2018, She came together with a group of 25 C-suite leaders across different industries to form the WorkWell Leaders Workgroup to champion workplace mental health and employee wellbeing as a leadership priority. In 2017, she co- created A Good Space, a community of community builders, to expand perspectives across a wide range of social issues. In 2014, Playground of Joy was founded to deliver integrated values-based development programmes for children, especially those with special needs. She started Project Yoga-on-Wheels in 2010 as a community of certified yoga instructors who bring inclusive yoga to the beneficiaries of non-profits. Anthea finds wisdom through her intrepid travels that have taken her to all seven continents and over 75 countries. She believes that the farther out she explores, the deeper in she travels. Nawira is a mental health advocate and freelance writer. She has a diploma in Mass Communications from the School of Film & Media Studies at Ngee Ann Polytechnic. Apart from being a journalist, she is also working on several passion projects – all with the common aim of telling stories of the voices unheard. Her purpose in life is ‘to heal and help heal’ and she hopes to continue to inspire and be inspired. Her greatest achievements include being enrolled into a well-established journalism degree programme, and also having worked at the BBC. As an optimist and a fighter, she sees ‘failure’ as opportunities for growth. This is most evident from her experience with bipolar disorder and the losing of her father to cancer in 2017, where she overcame all odds and emerged even stronger. She firmly believes that resilience, self-awareness, and meaning reconstruction are key factors in life. Being Singaporean and a second-generation Pakistani, Nawira hopes to reach out to communities in South Asia and the Middle East – especially in conflict and disaster zones. 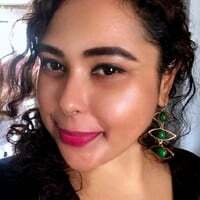 She also strives to advocate for mental health in Singapore, and has particular interest in youth mental health, and mental health in women and minority groups. Dr Ung is a psychiatrist at the Adam Road Medical Centre (formerly called Adam Road Hospital). He has been practicing psychiatry for about 30 years since 1988. He is also a prison psychiatrist with the Singapore Prison Service (SPS) since 2013. He was the Clinical Director of the Department of Psychological Medicine at National University Hospital; Clinical Senior Lecturer with the Faculty of Medicine, National University of Singapore; and Adjunct Associate Professor with the Psychological Studies Academic Group at the National Institute of Education, Nanyang Technological University. He was also a visiting consultant with the Department of Psychological Medicine at National University Hospital and Department of Psychological Medicine at the Singapore General Hospital. 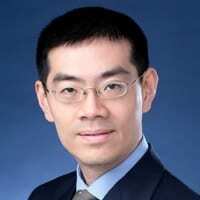 Dr Mok is a senior consultant and the Chief of the South region panel. He is also the Chief of the department of Mood and Anxiety Disorders in the Institute of Mental Health (IMH). He has received additional training as a clinical and research Fellow at the Regional Affective Disorders Service, Newcastle Upon Tyne in the management of treatment resistant mood disorders and especially in Bipolar disorders. He completed an attachment with the National Affective Disorder Unit in the Royal Bethlem Hospital, London. 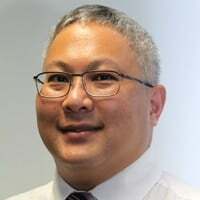 Dr Mok’s main area of interest is in the area of mood disorders and he has completed research projects, clinical pathway as well as authored book chapters on the subject. He has also delivered talks on the specialty to healthcare professionals as well as to the public. He is actively involved in teaching and training within and outside of the hospital. He is an adjunct assistant professor with Duke-NUS medical school as well as a senior clinical tutor with the Yong Loo Lin medical school. He is a council member of the Asian Bipolar network. He has won various awards including MOH and SCDF awards for his work during the Asian Tsunami, the IMH Sayang Award and Excellent Service Award (EXSA) Gold as well as EXSA Star Awards.